Bob Worrall is Senior Vice President and Chief Information Officer leading Juniper's Global Information Technology team. In this role, he leads the ongoing enhancement of the company's IT infrastructure and applications architectures to support the growth objectives of the company. He and his team are also responsible for showcasing Juniper's use of its technologies to the world. Prior to joining Juniper in 2015, Worrall was Senior Vice President and Chief Information Officer at NVIDIA. He also spent more than two decades at Sun Microsystems, including six years as Chief Information Officer. What was your first job? My first real job was managing an inventory control and component purchasing function for a manufacturing company in the Bay Area. That was my first exposure to Enterprise Resource Planning (ERP)/Materials Resource Planning (MRP) systems and IT. Did you always want to work in IT? No, not really. It was a friend who convinced me to give IT a try. If it hadn't been for my friend, I would probably be working in supply chain planning or manufacturing. What was your education? Do you hold any certifications? What are they? I hold a bachelor's degree and MBA, both from California State University, East Bay. Explain your career path. Did you take any detours? If so, discuss. I wouldn't say I took many detours in my career, but if you asked me when I was starting out if I thought I would be a CIO, the answer would have been no. 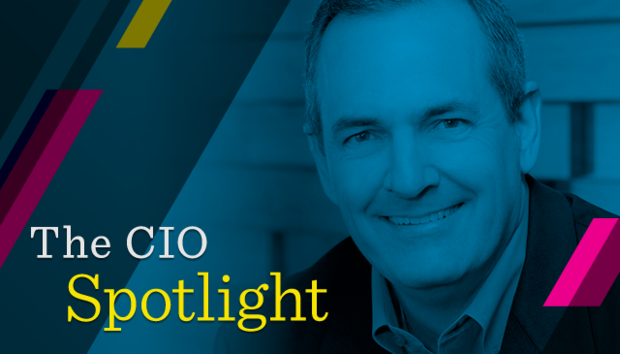 I don't have a technical background as most CIOs do—especially in Silicon Valley—and I didn't come to the position via a technical track, but rather through a personal connection who was willing to take a chance on my skills and capabilities. My big ‘IT break' came when I started working at Sun Microsystems. The company had an effective program where they rotated people across functions to broaden their experience. With my 20 years at Sun, I had done just about everything, from IT operations to application support and development. In 2005, the CIO at the time was moving onto a new role, and the CFO at the time called me up and asked, "Well you've done everything else. Why don't you take the CIO role?" I initially said no as I assumed the CIO focused primarily on the industry, products and technical work, whereas I enjoyed organisation, management and leadership. The CFO eventually convinced me that although there would be a technical component to the job, I would be able to balance it out with management and leadership responsibilities. Reluctantly—at least initially—I took the job. I held the title for the final five years of Sun's existence before it was sold to Oracle. From there, I took the CIO role at NVIDIA for almost five years before joining Juniper in 2015. I've spent 13 years as a CIO in Silicon Valley, all with high-tech product firms of one form or another, but it certainly wasn't my career aspiration. I literally fell into the role, but now that I've been playing in the space for over a decade, I can safely say that this is where I'm meant to be. What business or technology initiatives will be most significant in driving IT investments in your organization in the coming year? Enabling new business models is an area of significant investment for us this year. Disaggregated software offerings, bundled solutions and cloud-based service offerings are all important areas of focus for us. Move to zero data centres—we're in the process of moving everything to the cloud with the aim to soon close all physical data centres. Push the "Juniper on Juniper" effort—over the last six years, Juniper has serviced its own company like a customer and this year, we're continuing to implement new technologies, specifically in security, to better understand the customer implications/benefits more broadly. Security continues to be a key focus for us—we've introduced some significant policy changes and leading-edge technologies to protect our IP. Does the conventional CIO role include responsibilities it should not hold? Should the role have additional responsibilities it does not currently include? In today's day and age, there is no "conventional" CIO. It all depends on the company. Some organisations today don't even have a CIO. You could eliminate the role and the world would not stop. But the fact is, somebody must be responsible for the networks, the data centres, end user support, the laptops, the telephone systems and everything within IT. Some companies have started to call that individual a chief innovation officer or chief digital officer. Even so, they're still examining and refining their respective organisation's approach to the cloud, security and more. No matter the title, these functions must be taken care of and the CIO, or other similar roles, must be responsible for them. And to be honest, the job hasn't changed much over the past decade. Sure, we use different terminology, different technology and new ways to deliver services, but it's always been about data centres, networks, applications, security, data management and user support, and all of those things that are still a part of my job today. We're still doing the same old stuff, just in a different way. Are you leading a digital transformation? If so, does it emphasize customer experience and revenue growth or operational efficiency? If both, how do you balance the two? To be honest, ‘digital transformation' is a confusing phrase for me. IT has always been about digital transformation—another example of new terms we use. Having said that, IT at Juniper is very heavily involved in a number of transformation efforts—from enabling new business models, to advanced analytics. Most of our projects are customer-focused, of course, but we have several projects in finance and accounting—including robotic process automation—which are driving real process improvements. What does good culture fit look like in your organisation? How do you cultivate it? At Juniper, we recently refined and simplified our company values—be bold, build trust and deliver excellence. While these values have always been at the core of our business, we simplified what we call "The Juniper Way," so our employees can easily identify and embody these beliefs across their professional and personal lives. To achieve strong culture and work environment, we all live by these values and keep top of mind that, at the end of the day, we are a company built on engineering that aims to solve the industry's hardest problems. What roles or skills are you finding (or anticipate to be) the most difficult to fill? Security focused roles are especially difficult to fill. The security space is constantly growing and evolving, which brings more open roles and heightened competition between companies. In fact, we just released a study that found more than half of IT practitioners are unable to recruit skilled personnel to deploy critical security automation tools. The demand and experience required is necessary, but the pool is hard to find. What's the best career advice you ever received? Get to know yourself well enough to understand and accept your limitations. You can't be the best at everything; find a method to deal with ambiguity and challenges in a productive way. Do you have a succession plan? If so, discuss the importance of and challenges with training up high-performing staff. Yes, we have documented succession plans for every leadership role in IT. We ensure that we have development plans in place for all high-potential employees—including training, experiential practical opportunities, mentoring and the like. What advice would you give to aspiring IT leaders? Become very broad in your understanding of the role. What I mean by that is remain flexible and open to new opportunities. I had the benefit, or virtue, of almost being forced to rotate every few years into very different roles at Sun—from applications to architecture to infrastructure, I saw nearly every side of the IT business. What each of those opportunities provided me was the ability to learn something new, practice my skills I'd acquired and be able to converse with people even though I didn't understand the deep technical subject matter of that domain. Find opportunities to move laterally instead of solely focusing on how you move from head of applications to CIO. The people applying for the CIO jobs typically are those who have a broader experience base than just run vertical within the domain. If you're stuck at a point in your career in applications, then look for an opportunity, a lateral opportunity, and move to infrastructure or end user support or something similar where you'll get more breadth of knowledge that can be generally applied as you snag the job as an IT leader. What has been your greatest career achievement? Looking back, I've been involved in numerous large projects over the years that were challenging and where I learned a ton, but I think the biggest contribution that I have made is not those grand-scale projects, but the literally millions and millions of other small things my team does every single day, whether it be helping some financial analyst at the end of the quarter who has a problem with a spreadsheet or resolving a laptop problem. At Juniper, we respond to more than 10,000 service requests a month. If I think back over 10 years of doing that, there are millions of things people have needed help with. Some of them are big and some are small, but the cumulative effect of those certainly outweighs any single project. I'm extremely proud of the total effect of the day-to-day grind that we all contribute to make everyone's job a little bit easier. Looking back with 20:20 hindsight, what would you have done differently? I wish I'd spent more time mentoring young leaders early on in my career. I really enjoy that part of the job, but other priorities often got in the way of spending as much time as I would have liked. What are you reading now? I'm currently reading "Truth from the Trenches - A Practical Guide to the Art of IT Management" by Mark Settle and "Lessons from Private Equity Any Company Can Use" by Hugh MacArthur and Orit Gadiesh. Most people don't know that I… spent a few years living in Amsterdam, running IT operations for Sun Microsystems. The international experience was one of the most impactful experiences of my professional career as well as on the lives of my wife and kids. In my spare time, I like to…travel and spend time with the family. Ask me to do anything but… accounting. I'm really glad there are people who love to do it, but it's not for me.